Dolley Madison’s son, Payne Todd, had always been a disappointment. 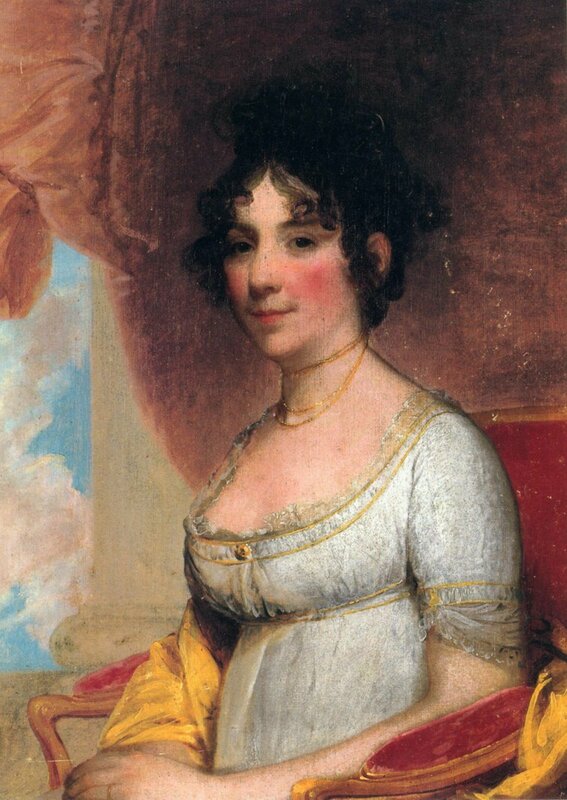 Dolley Madison (1768-1849) had been married to John Todd, a Quaker lawyer, for three years. Then he died, leaving her with a two-year-old son. When she remarried, her new husband was the only father Payne Todd (1792-1852) knew. 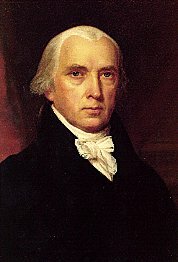 James Madison, more grandfather than father, was indulgent, supportive, helpful and affectionate. But like his wife, he was disinclined to administer the discipline that all children require from time to time. On the asset side, Payne grew up to be good looking like his mother, courteous and well mannered. His courtly bows were praised. His disposition was charming, again like his mother. He made friends easily. But try as they did, neither James nor Dolley Madison seemed to make academics, hard work or profitable employment part of Payne’s agenda. By the time he was 21, he was well on the path to dissipation from wine, women and wagering. 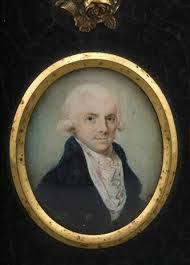 James Madison, eighteen years older than his wife, had waited a long time to marry, and he adored her. Since Payne displayed acute disinclination toward every opportunity Madison provided for schooling, his stepfather finally tried other approaches. As president, Madison sent the young man, then about twenty, as secretary to a small delegation appointed to St. Petersburg, Russia, hoping a diplomatic venue would be to his liking. It was. Payne loved the cosmopolitan lifestyle, particularly since he was treated like a Crown Prince. He was soon seen at all the gaming tables in the capital, quickly losing most of the generous allowance and then some that his stepfather provided. When the delegation disbanded, Madison left the group in Paris, and began a gambler-alcoholic existence. He seldom wrote home unless it was to his stepfather (rather than his mother) asking for money, usually large sums. The Montpelier plantation was too much for Dolley in her elder years. When James Madison died in 1836, he was eighty-five. His once-thriving plantation was in serious financial decline. His will named Dolley as his chief heir, but he also left a complex and complicated series of bequests to assorted charities, nieces and nephews that would take years to fulfill. 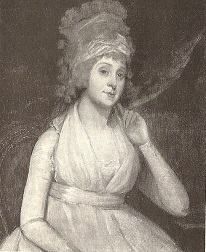 Dolley, already in her late sixties, could not manage the plantation and finances herself. Payne, by now a dissolute alcoholic, was ill-equipped to help. She eventually sold the plantation and moved back to Washington, where she had many friends – and very few funds. 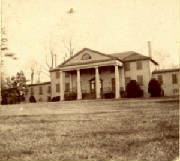 Having taken a great loss in the sale of Montpelier, largely due to her son’s dissipation and debts, she rented a small house near the White House, bringing with her a few old retainers, and her niece Anna Payne Causten, who had been her devoted mainstay during James Madison’s last years. The former president had spent those elder years annotating his diaries from the Constitutional Convention fifty years earlier, believing them to be invaluable to the country he helped found. This was his major bequest to his beloved Dolley; he expected them to be published, valued at $100,000 – enough to provide for all his bequests – and his widow. Dolley had enlisted her son’s help in finding a publisher, but Payne proved inept as ever, and nothing came from it. Congress finally authorized funds for a partial purchase, but it was inadequate. Dolley was broke. She was neither an experienced businesswoman nor did she have a natural head for finance. Always a loving and doting mother, she had given Payne her power of attorney. As usual, he bollixed up the sale of Montpelier to a point that Dolley could no longer go back to Virginia: she would be inundated with lawsuits and outstanding claims and debts. 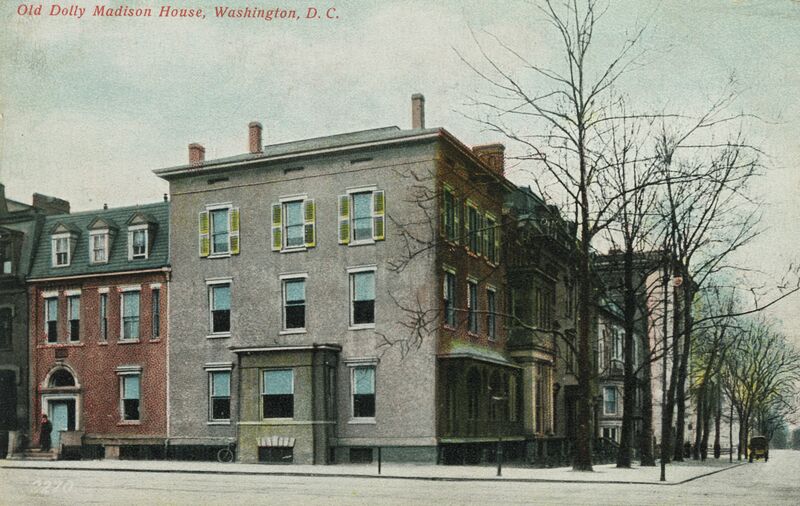 Dolley’s house in DC. It is still there. Most of the existing correspondence between Payne Todd and his aging mother were either about needs: usually his, or finances and property: usually hers. There is the expected courtesy, some genuine affection, but little indication of a desire to help her. Dolley had outlived her closest kin. Like Madison’s family, they were all into the second generation, with strife amongst everyone, usually about money. Payne Todd was all she had, despite his incompetence and dissolute habits. It was her devoted niece-companion Anna Payne Causten who provided the day-to-day assistance and affection that Mrs. Madison had always generously provided to others. 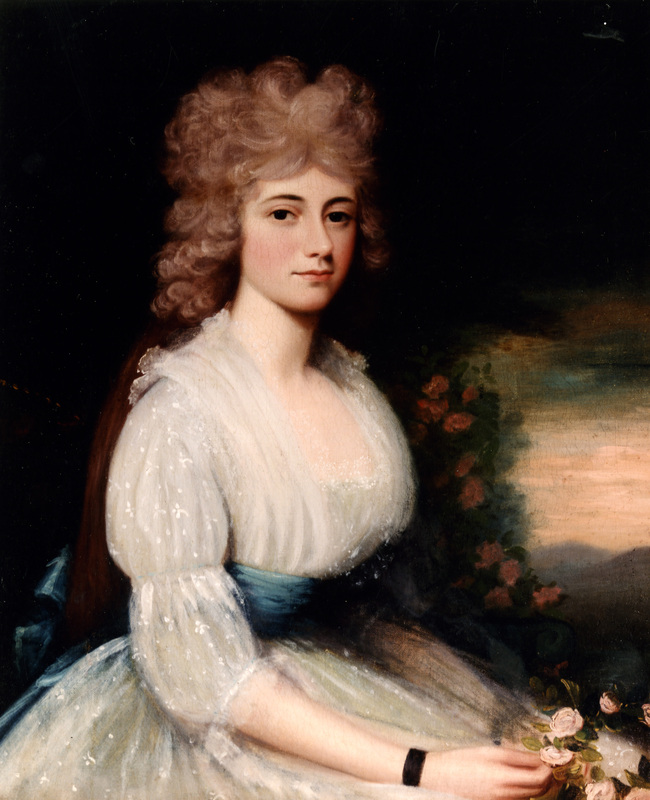 Nevertheless, Dolley held her head high and maintained her consummate dignity and grace in public. Most people believed she had comfortable means, but the truth was that she was suffering financially. Dolley’s will had been written nearly a decade before her death, but by 1849, as her health declined, she wanted to provide for Anna. When Todd got wind of her inclination, he turned up at her bedside, lawyer in tow, with a new will, making him, her only son, sole heir of his mother’s estate. Her frail condition could not stand up under the stress and duress. She signed it. However…The battle of wills was fought for nearly three years – by then, both Payne Todd and Anna Payne Causten had died. This is a sad story with a delayed happier ending. Helen (Nellie) Herron (1861-1943) was smart as a whip, and as ambitious as Caesar. She had the ambition to want things, and the ambition to work for them. But she also had a yin-yang nature that was deeply rooted in the womanly conventions of the 1870s, designed to keep the smart and ambitious woman in check. When she was in her mid-teens,the Herron family spent time in the White House visiting close friends, President and Mrs. Rutherford B. Hayes. Nellie was more than entranced. She was inspired. Here was where she wanted to live. As First Lady. Since she couldn’t counter the mid 1870s, she realized that if the White House on her long-range horizon, she would have to marry it. At twenty five, Helen Herron married William Howard Taft, four years her senior. They had courted pleasantly for three years, and she conventionally said “no” three times. Then she said “yes.” Taft was a big, gentle teddy bear who sincerely loved the savvy young woman with a sharp wit – and tongue. More importantly, he had impeccable credentials with an arrow pointing toward high office in Washington. Like the Herron, the Tafts were from Cincinnati with eastern antecedents. Will’s father was a widely respected attorney, and cabinet secretary during the Grant Administration. Will was first in his class at Yale, returned to Cincinnati to study law, passed the bar easily, and had begun a career in public service. Republican public service. The only snag was that Will was appointed to the bench at a young age, and loved being a judge. His highest ambition was a seat on the Supreme Court. Nellie assiduously devoted most of her enormous energies to channel those judicial ambitions to a better address on Pennsylvania Avenue. She read all the newspapers, knew all the players and the issues, and made sure they attended all the see-and-be-seen events. She was happy to skimp on her own personal comforts to fund political dues. The old saying is to be careful what you wish for. 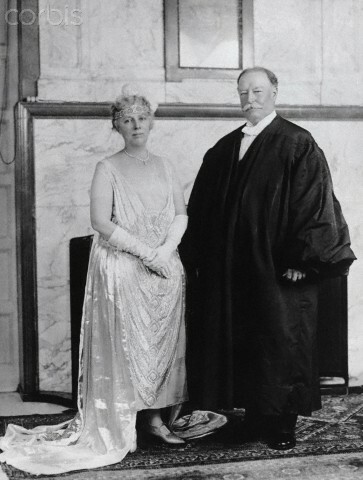 Nellie wished and it came true, largely in part to her encouragement, her channeling, and the fact that Will Taft sincerely wanted to please his wife. 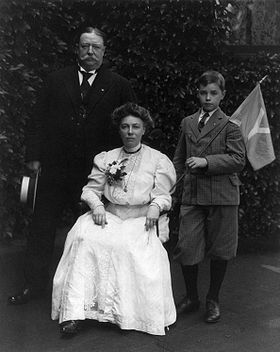 In 1909, William Howard Taft became President. 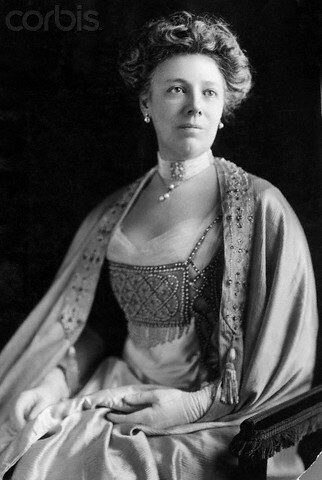 Nellie was now First Lady with a long agenda of FLOTUS activities – well within the “conventional” purview of 1909 First Ladydom: Social activities, cultural activities, educational activities. But only a few weeks into the Taft Administration, on a party-cruise down the Potomac, Nellie fainted. But it was not a faint. It was a serious stroke that left her with aphasia. Aphasia is a condition resulting from a blood clot in the brain that impairs the patient’s ability to speak coherently and to read and write. It also can cause the face to droop on one side. But her physical health was not impaired. There was no crippling. Taft was devastated. Aside from truly loving his wife, he had counted on her considerable political savvy in a job he never really wanted. Now she couldn’t help. Nellie Taft after her stroke. The change is obvious. Even sadder than her new limitations, her “transmitter” functions were damaged, but her “receptor” functions were intact. Nellie could understand everything. Her memory was only slightly impaired. If you asked yes/no questions, she could nod with proper response. But she could not elaborate on the answer. She improved, albeit with some residual speech impediment. She could, at least in part, make several of the traditional FLOTUS decisions – but she could not appear in public. Her daughter took a year off from Bryn Mawr College to help. Her three sisters rotated long visits to help. The President spent hours with her whenever he could. Several months later, another less-severe stroke forced her to refocus her ambition: on her health, like it or not. Politics now became secondary. It took the entire Taft term to regain most of her lost abilities. Of course she was deeply depressed. She got what she wanted and could not enjoy it. She understood everything, but she could not communicate publicly. It was agonizing for her to help arrange a state dinner or receptions that she could not attend. She was also politically shrewd enough to understand that her husband was destined to be a one-term President, and she worried about their post-Presidential finances. Yale University came to their rescue with a Chair of Law for Taft. They moved to New Haven CT, which she loathed. She was bored. Her “autobiography.” Written well before WHT was CJ. Nellie dictated her experiences to her daughter, who crafted them into a nice, albeit not exciting, book. She focused on her childhood and youth. On her marriage, family and travels. But mostly on her happiest five years in the Philippines at the turn of the 20th Century, when Taft was its Governor-General. Nellie was First Lady there. The four years she spent in the White House was a briefer chapter, mostly devoted to table settings, menus and guest lists. She had wanted to do so much more. 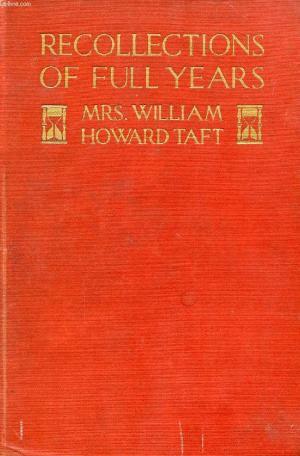 Nevertheless, in 1914 Recollection of Full Years, by Mrs. William Howard Taft, was published by Dodd, Mead to modest success. Nellie lived to be 83, with a quiet, but interesting and reasonably active life. She saw her husband appointed Chief Justice of the Supreme Court, his greatest ambition. She saw her children married and very successful. She saw her daughter become Dean at Bryn Mawr College. She saw several grandchildren. And perhaps most importantly, a long line of politically distinguished Ohio Tafts still look back to their matriarch with pride. George Washington died in late 1799, two months shy of his 68th birthday. 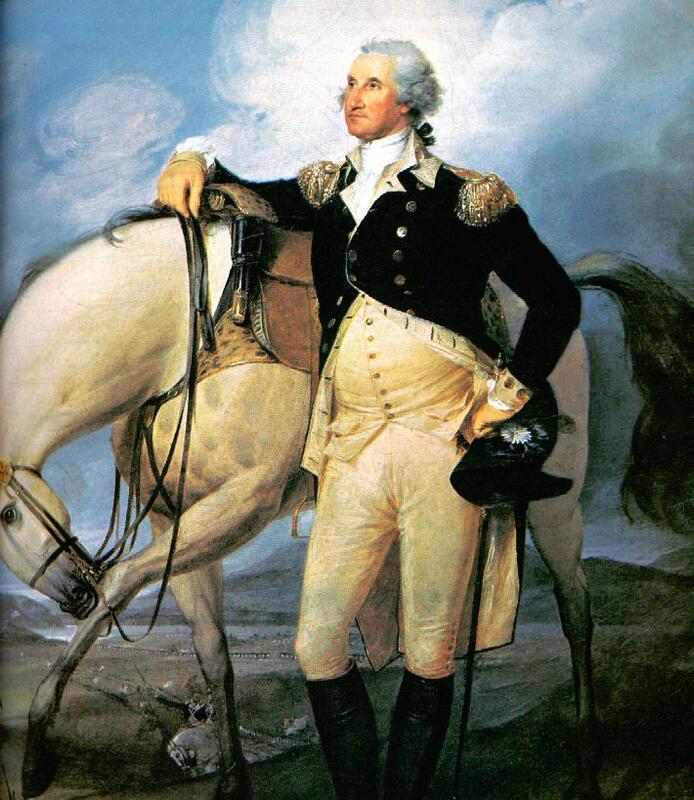 Anyone who had seen George Washington a few weeks before his death would have remarked how well the General looked. They would have been right. With little exception, Washington enjoyed robust health throughout his lifetime. He survived the normal childhood ailments. He contracted and survived a mild case of smallpox when he was in his late teens. He managed to avoid contracting tuberculosis (consumption), a highly contagious disease, despite close contact with his afflicted older brother, Lawrence, whose Mount Vernon estate came to George after the older man died. The eight years he spent in the Virginia militia toughened him inside and out, and left him relatively free of injury or recurring camp fevers. Fifteen years later, during the eight years Washington spent as General of the Continental Army, he again was relatively free of illness, and despite a conspicuous presence on the battlefield, was never wounded. The few fevers and agues reported to afflict him were generally mild, and he recovered. 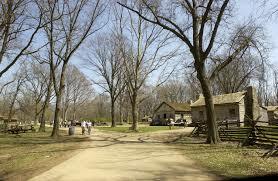 General Washington wanted nothing more than to return to Mount Vernon. Throughout the Revolutionary War, he corresponded regularly with his plantation manager, and the beloved estate was never far from his thoughts. Past fifty when the war ended, he still enjoyed the vigorous physical challenges of tending his property. He spent hours in the saddle, inspecting every inch of the place. His retirement, however, was brief. Within two years, a tenuous “government” of confederated states was deteriorating, and the General, perhaps the only one whose presence and support could command complete respect, was again recruited, this time to preside over another convention of state notables to “reinvent” a new and improved government. When part of that new “constitution” established the office of “President,” it was considered a given that George Washington would hold that title. Once again he left the comforts of Mount Vernon, and except for periodic visits, was away for nearly another decade. Middle age was generally kind to the new president, save for a painful episode from a carbuncle (boil) on his thigh, early in his first term. Then as now, they frequently require surgical lancing. There were no antibiotics, which today are routinely and effectively prescribed to counter the infection that causes boils. He suffered miserably for several weeks, and recovered. When he finally retired for good in 1797, he was still vigorous at sixty-five. The joy of returning to Mount Vernon removed years as well as cares. For nearly three years, the retired General/President once more took up his plowshare to resume work as planter, frequent host and elder statesman. He still stood tall and rode like the soldier he was. He may have lost a step or two, and needed glasses for reading, and complained of chronic toothache – but he was strong and alert. Thus, on December 12, he mounted his horse for his routine inspection circuit around the plantation. It was a raw, damp day, and in the early afternoon a wintry-mix began. He returned around 3 PM, soaked and chilled. Dismissing the suggestion that he change to dry clothing, he managed his desk work for an hour before dinner. By evening, he felt poorly and retired early. His wife Martha, accustomed to tending the usual sicknesses of both plantation and military life, became alarmed at his fitfulness during the night. Washington had a high fever, and complained of a very sore throat. The most common treatment for just about anything in the 18th century, was bleeding: opening a vein and removing about a pint of blood from the patient. George Washington endorsed the practice, but as a modern reader might suspect, the cure only aggravated the problem. Tobias Lear, George Washington’s secretary, was also alarmed, and sent for Dr. James Craik, an Alexandria physician and Washington’s close friend of nearly fifty years. Craik had been educated at the University of Edinburgh, considered one of the finest medical schools in Europe. He emigrated to the “colonies” and met George Washington, then a 20-year-old militiaman. If any doctor was to be trusted, it was Craik. By midday, Washington could barely speak, and had difficulty swallowing. He was bled again. And again. At Martha’s urging, a second physician, Dr. Gustavus Brown was summoned. While waiting for Brown, Craik sent for yet another physician, having grown alarmed at the severity of Washington’s condition. A fourth round of bleeding was performed, and some sources believe that 32 oz. of blood had been removed. Despite continuous weakness, pain, fevers and loss of blood, the General was conscious and cognizant, and suspected this illness to prove fatal. He had written two wills some time earlier, and asked that they both be brought. He reviewed them, selected the one he wanted, and ordered the other to be burned. He instructed his secretary to settle his accounts, and directed that when he died, his body was not to be interred until three days had passed. Washington’s final resting place at Mount Vernon. 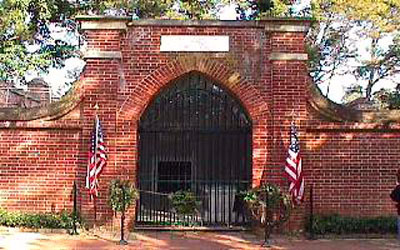 On December 14, 1799, two weeks before the turn of a new century, George Washington murmured “’tis well,” and expired. He was 67. He had been ill for only two days. The news of his death traveled quickly to his northern Virginia neighbors, but slowly to the rest of the country. Those in the populated coastal cities learned the sad news by Christmas. For those living inland and in remote areas, months passed before they were apprised. All were shocked and stunned and grieved. Church bells tolled a mournful dirge. Flags were lowered to half-staff. Ministers in pulpits across the country prepared eulogies of the greatest American of their time. …but the people remembered him like he was in 1812. 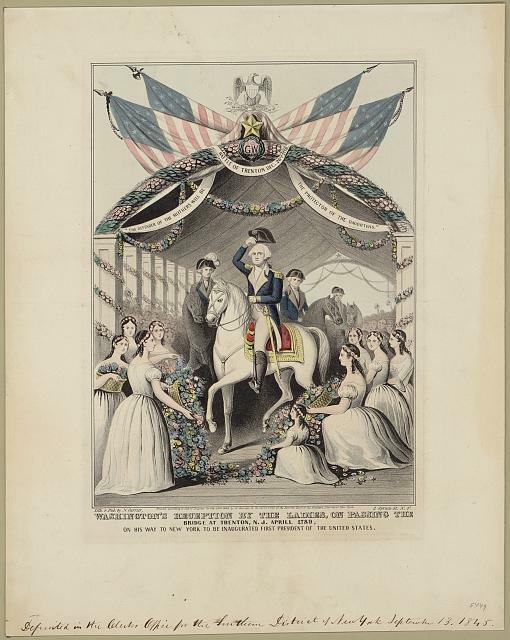 During the first Whig election in 1836, there was no single candidate. Different sections ran their favorite sons. Four of them. They expected to lose, but this way, they might find a front runner for the next national election. 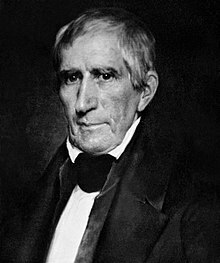 The front runner turned out to be an aging William Henry Harrison, a military hero of the Battle of Tippecanoe during the War of 1812. He became the Whig candidate of 1840. 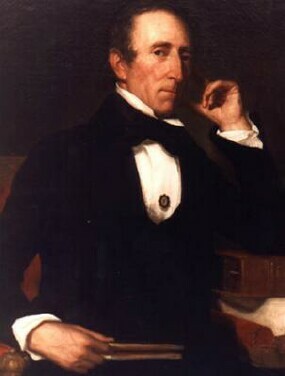 John Tyler was a Virginia patrician of means and pedigree. He practiced the three professions of many Virginians: plantation owner, practicing attorney, and politician. By upbringing and personal inclination, he was an ardent “states rights” Jeffersonian Democrat. 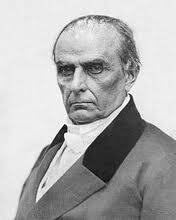 Serving in Congress and the US Senate, he had originally aligned with the Democrats (the only party at that time), but soon grew disenchanted with Andrew Jackson. The rift ebbed and flowed for the eight years of the Jackson presidency. Tyler was basically a maverick. The Vice Presidency was never a concern. It was a throwaway position of honor and little heavy lifting. Some said Tyler was nominated because nobody else wanted it. The Whigs mounted a rousing, rip-roaring campaign in 1840, with a nifty slogan: Tippecanoe and Tyler too. They won. Harrison and Tyler were inaugurated on March 4, 1841. Then Tyler went home. Nobody ever thought that a month later Harrison would die. But he did. A fast rider was sent to Tyler’s home with the momentous news; and the VPOTUS immediately left for Washington. 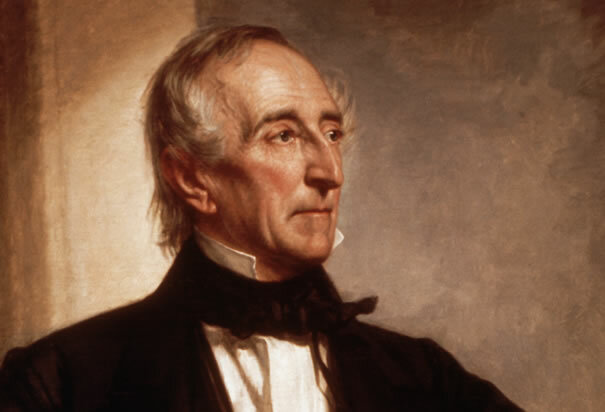 Meanwhile, in the interim, Harrison’s cabinet met, and realizing that the Constitution was particularly vague about the authority of a VP-turned-POTUS, decided that John Tyler would be “Acting President,” with all decisions made by the Cabinet, the VP having one vote – just like everyone else. Secretary of State Daniel Webster remained in Tyler’s cabinet. “President” Tyler, having been sworn in at his hotel in Washington by a circuit court judge, did not see it that way. He believed that since he was expected to fulfill the responsibilities of the President, he should inherit the title as well, to wit: be the President. He met with Harrison’s cabinet, heard them out, then stated his own inclinations very firmly. This included the politely worded offer to “accept resignations.” He was a very stubborn man. When letters came to him addressed to “Vice President Acting as President” or some such phrasing, they were immediately returned to the sender – unopened. He did not seem to care. He was also not elected to a term of his own. The constitutional (as opposed to traditional) determination of the Vice President assuming the role of a deceased President remained up in the air for a very long time. A decade after Harrison’s death, Whig President Zachary Taylor died, and VP Millard Fillmore assumed the presidency. This time there was no objection since Fillmore was a solid Whig, albeit not overly effective. Fifteen years later, when Republican Abraham Lincoln was assassinated, Democrat-in-Republican-ish-Clothing Andrew Johnson assumed the office and the title. Problems came later. VP Chester Alan Arthur refused to assume any presidential responsibilities during the ten-weeks POTUS James Garfield lay dying from an assassin’s bullet. While the Cabinet was extremely cool to him, he was applauded by the country as a whole for his restraint. He served admirably. Vice Presidents Theodore Roosevelt, Calvin Coolidge and Harry Truman assumed the Presidential title and responsibilities after the death of their predecessors, and performed well enough to be elected terms of their own. And all of the above served their VP-POTUS terms without a Vice President! It was not for a 125 years, until Lyndon B. Johnson assumed the presidency following the assassination of John F. Kennedy, that Congress finally tackled the fine points to validate Presidential Succession, paving the way for Gerald Ford. No soldiers. No rioting. The transition goes smoothly. And we are grateful to a stubborn John Tyler. 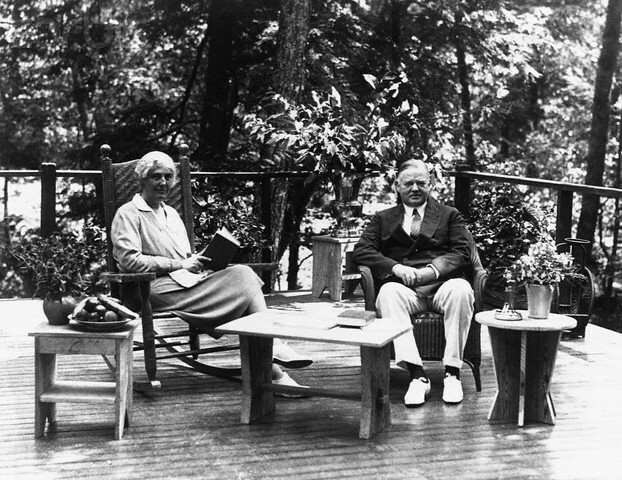 President and Mrs. Herbert Hoover in their favorite spot! 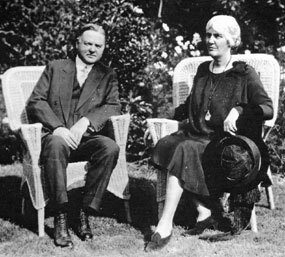 Both Herbert and Lou Henry Hoover loved the great outdoors. “Bert,” as he was called by friends, was fully orphaned at ten, and sent to live with relatives. Hard work was always part of his Quaker upbringing, but after schoolwork, household and farm chores, and the extra-cash jobs of childhood, his happiest leisure hours were spent outdoors – fishing. He loved it all his long life. Lou Henry grew up in a middle class family; her father was a banker. She had one foot in culture, education and town life, the other in the frontier. She rode expertly, could shoot a rifle, build a fire, climb trees, bound over fences and other tomboy activities. Including fishing. After World War 1, the presidential plate became more and more complex. Air travel was still in its infancy. Presidential “vacations” for a couple of weeks was becoming difficult. The Hoovers in a happy place! It was President Calvin Coolidge who suggested that a nearby “retreat” where a President could relax for a few days might be beneficial to his health and well being. 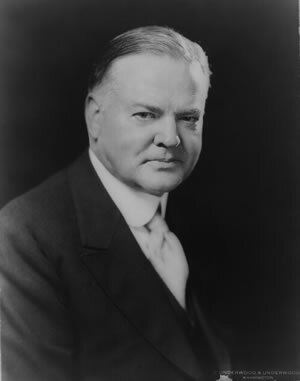 When Herbert Hoover became President in 1928, he had already spent eight years as Secretary of Commerce to both Presidents Harding and Coolidge. He agreed wholeheartedly about the benefits of a nearby getaway – especially since his home was in California. Too far to commute. Even before his inauguration, he began investigating possible sites within 100 miles of Washington – only a few hours away. …found exactly what they were seeking: a rustic area in the Blue Ridge Mountains of western Virginia, at the confluence where two fine streams met to form the Rapidan River. Hoover, a poor boy who had made an enormous fortune as a mining engineer, personally purchased 200 acres at $5/acre. They named it Rapidan Camp – or Camp Rapidan (depending on which source you espouse). The Marines were assigned to work with Mrs. Hoover to plan, design and erect a dozen cabins to house the Hoovers, their guests, and those staff members who came along for the working-vacations. Most of the expenses and materials were personally paid by the Hoovers. The “brown” house. Unlike the White House, it was definitely not fancy! The POTUS and Mrs. Hoover had lived in remote mining camps several years earlier, and were not only used to the harsh rugged lifestyle, but enjoyed it. Prior to becoming First Lady, Lou Hoover became active in the Girl Scouts; now she was the national President of the organization. It was not an honorary title; she was its working President. Outdoor living, nature studies and frontier survival skills were dear to her heart – especially for girls! She knew exactly what was required for the new Presidential compound. The streams were stocked prior to their visits, since fishing in the cool mountain air was mandatory for both Hoovers. The guest and staff cabins were plain, equipped with little more than a rustic bedroom, bathroom-of-sorts and a porch. No electricity. A large cabin centered around a cozy lounge and broad fireplace, featured tables and comfortable seating for reading, conversation, and games of all kinds for staff and guests. The basic furniture came from the presidential yacht Mayflower, which had been sold. Some furniture was donated. Some was personally purchased by the Hoovers. A large central mess hall fed everyone, and employed a chef, kitchen help and waiters. (Domestic and kitchen staff were housed dormitory style in nearby cabins). Fresh catch-of-the-day was likely on every menu! 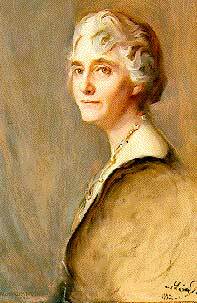 Herbert and Lou Hoover were both blessed with good health and enormous energy. In their mid-50s, they both put in 12- and sometimes 15-hour days, especially once the economy devolved into The Great Depression. Relaxing – in a suit and tie. She wears pearls. Thus by 1931, Camp Rapidan became more than just a weekend getaway: it was deemed essential to the President’s health. But while he usually slipped away for a few hours of quiet fishing, most of the trips to Camp were working sessions. Cabinet members came frequently. Sometimes wives were included. Congressmen and senators, senior officials, presidential secretaries and related staff also came regularly. Girl Scout leaders and executive personnel were invited by Mrs. Hoover for planning sessions. Most of the invitees considered the “invitation” as a fringe benefit of their jobs. The Marines maintained a small nearby camp of its own to accommodate those assigned to the Presidential staff for security and property maintenance. Telegrams, mail and newspapers were flown in every morning. While most of the guests were governmental-ish, well known non-government guests were periodically invited, mainly for good companionship. And if they like to fish, all the better. President Hoover donated Rapidan Camp to the state of Virginia at the end of his term. The intention was that it become a permanent Presidential getaway. By then, its beneficial restorative qualities were well established. 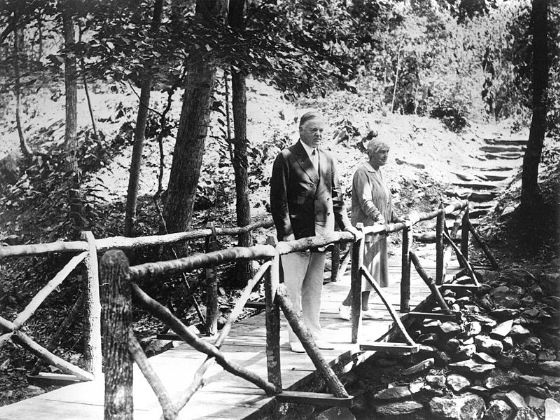 Hoover’s successor, Franklin D. Roosevelt visited the Camp early in 1933, but the extremely rugged terrain was not conducive to the special needs of the wheel-chair bound President. A more accessible site was found in the Catoctin Mountains of Maryland, even closer to DC. FDR called in Shangri-La after the peaceful place in James Hilton’s fictional Lost Horizon. President Truman seldom used it, preferring deep sea fishing in Key West, Florida. President Eisenhower reactivated Shangri-La for his personal use, but renamed it Camp David, and it has been used by every successive President. 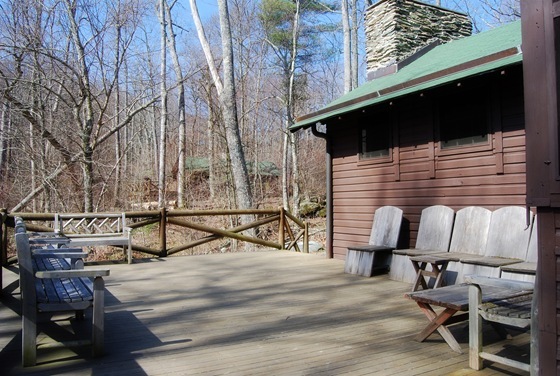 Rapidan Camp lives on as part of the Shenandoah National Park, maintained by the National Park Service. Three of its original buildings are still standing after nearly 90 years. It is open to the public – and well worth the trip!! John Quincy Adams was a 30-year-old diplomat when he married. John Quincy Adams as a child. John Quincy Adams was a recent graduate of Harvard College when George Washington became president in 1789. 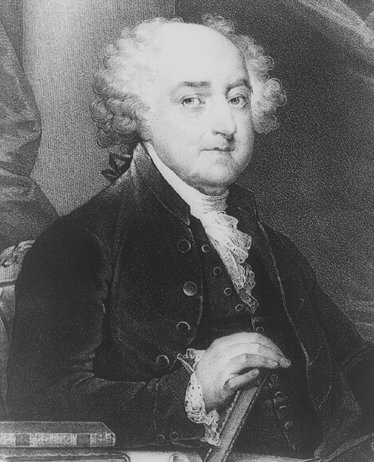 He had received an exceptional education during the 8 years he spent in Europe, when his father (currently VP) John Adams, was sent abroad for diplomatic assignment. Having studied in some of the finest schools in Europe, he mastered several languages, was acquainted with many of the important people on the continent, and self-assured in the sophisticated manners and deportment of those in high circles. Now he was an attorney, recently admitted to the Massachusetts bar. 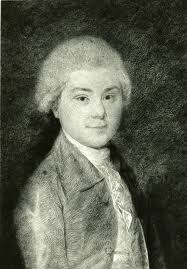 In short, he was considered by many of his American countrymen, to be the most cosmopolitan young man of his generation. If that wasn’t enough, he was making a name for himself (at least in pseudonym) writing well-crafted letters to the newspapers in support of the new country and its policies. George Washington thought well of him, and appointed him Minister to the Netherlands. He was only 27. Washington was so well pleased at his young appointee, that he specifically urged John Adams, his successor, not to recall his son, believing him to be destined for a brilliant diplomatic career. 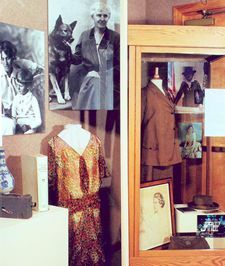 As part of his ambassadorial duties, JQ was obliged to encourage trade between the Netherlands and the United States, which necessitated meeting and greeting Americans living and working abroad. He also had occasion to cross the English Channel from time to time, again representing U.S. interests. On one of those trips to London, JQA (as he liked to refer to himself) met Joshua Johnson, a merchant from Maryland who had emigrated to England a decade before the Revolutionary War. He engaged in a successful shipping business, married Englishwoman Catherine Nuth, and raised a family. Thus prominently placed, Johnson made it a point to seek and befriend his native country’s representatives. Some time in late 1795, JQA was duly invited to dine at Johnson’s opulent home, filled with all the amenities of fine living. 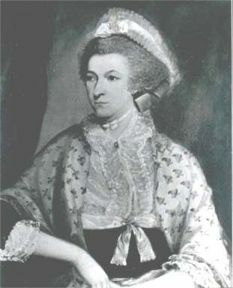 There he met Louisa Catherine, Johnson’s second daughter. She was twenty, convent-schooled in Paris, cultured, graciously accomplished – and pretty. The young man was smitten. By mid- 1796, the two were engaged. John Quincy Adams’ prior “romantic life” had been unsuccessful and unsatisfying, having been rejected a few years earlier by a young girl that he fancied at the time. While he channeled his romantic disappointment into professional success, he was also developing the chilly exterior that would come to mark his persona. But Joshua Johnson was delighted at the match. 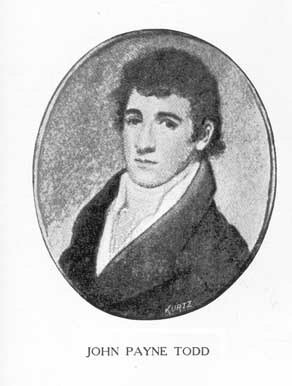 Not only was JQA a fine figure of a young man and a well-regarded diplomat with a promising career ahead, he was also the son of the Vice President of the United States, expected to be in line for the top position. Young Adams was a prize, indeed! The two years of engagement between JQ and Louisa was mostly by correspondence. Once betrothed, Louisa conventionally wrote to her fiancé every other day; JQ wrote markedly less. Their letters were generally routine, hardly to be considered tender love notes. Nevertheless, Louisa had ample opportunity to recognize the rigid and overbearing nature that would come to dominate her lot in life. She could have broken the engagement – but she did not. On paper, Louisa Catherine Johnson possessed all the attributes necessary to make a fine consort for a man of importance and distinction. Her education and culture was exceptional for the time; her manners and language skills were flawless; her beauty and grace were the stuff of Gainsborough paintings. If that were not enough, Louisa came from a well-moneyed family. The Adamses were financially comfortable by the end of the eighteenth century, but were never wealthy. JQ had many cultural interests: history, literature and poetry being among them. He harbored a deep desire to write poetry, but while reasonably accomplished, lacked the creative spark of greatness. Despite being considered an excellent attorney, he did not enjoy the practice of law. Ever. But while pursuing monetary gain was never an Adams’ trait, the ample dowry promised by Joshua Johnson would enable him to provide for his wife and their potential family, and still have plenty of leisure time for his many avocations. 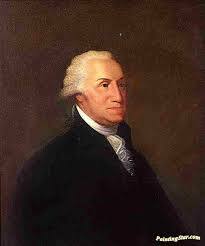 In addition, Joshua Johnson had outfitted one of his ships to take his daughter and son-in-law on a honeymoon cruise to Portugal, where JQA had recently been assigned as Minister Plenipotentiary. All of the aforesaid outweighed (at least to him) the disapproval of his mother Abigail Adams, who believed a cultured European woman would prove too delicate and unequal for the rugged new country across the ocean. President John Adams always liked his daughter-in-law. On July 26, 1797, John Quincy Adams and Louisa Catherine Johnson were married in London. On the day of the wedding, very shortly before the ceremony, Joshua Johnson took his new son-in-law-to-be aside, and confessed his financial embarrassment. He had stretched himself too thin, and bankruptcy loomed. His creditors were pressing, and he planned to leave the country and return to America. All Johnson could provide was a plush honeymoon cruise. There would be no dowry, opulent or not. Exactly when this information was told to the bride is unknown, however it was always an embarrassment to her, and she even suspected that JQA’s critical flintiness was predicated on his disappointment. He, on the other hand, confided to his diary that he never regretted his decision to marry Louisa. Their voyage to Portugal was balmy and comfortable, although they learned en route that his mission had been changed, and they would be moving to a new position: Minister Plenipotentiary to Prussia – a much more prestigious assignment. He would fulfill Washington’s prediction for a brilliant career. Abraham Lincoln had very little military knowledge when he became Commander-in-Chief. …was next to nothing in 1861 when he became President. Thirty years earlier, as a young man, he volunteered with some New Salem fellows to fight in the Black Hawk War against some native tribes. It was a mere skirmish. 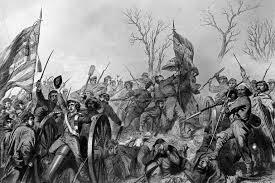 His militia unit saw no enemy, fired no shots in anger, and the entire episode was more like a camp-out with marching drills. It lasted about a month. But one thing Lincoln learned very quickly as President (and thus Commander-in-Chief), was the importance of military command and obedience to orders. If order is not strictly enforced and maintained, anarchy results, and an army can quickly collapse. When 75,000 Union volunteers were recruited, the raw soldiers were unused to the rigors of military discipline, and as might be expected, the commanding officers had their challenges. Sometimes harsh punishments were needed to set examples. Once the Civil War began, Lincoln made a point of borrowing books on military command and strategy from the Library of Congress. As the War progressed, and the predicted three-month hoo-hah lasted for four years, court martial and similar disciplinary measures were routinely effected. Death penalties were not uncommon. 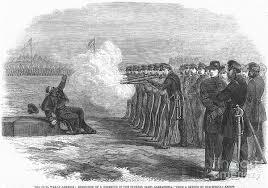 Lincoln was a kind man, a fact quickly learned to the dismay of military brass. The waiting room of Lincoln’s White House office was packed with family members come to plead with the tender-hearted President to spare the life of their dear one, condemned to death. Many of those miscreants were little more than teenagers, away from home for the first time. Some, after long days of marching and drilling – and fighting – nodded off on sentry duty: a hanging offense. The war was far bloodier than anyone expected. Some of the aforementioned were just plain “skeered” as Lincoln put it. Fear is common to all soldiers. Even the most heroic admit to it. It is a natural response in the face of death. So a lot of them ran away. Some merely to a place of nearby safety. Some actually got lost in the fog of war. Some ran further, as the war went on endlessly. Some deserted because they got tired of military life. Some were just plain homesick. Some had families who needed them. Some, however, enlisted for the bounty the government paid to recruits. They got the bounty money, deserted after a month or so, and re-enlisted in another town or state to collect another bounty. A few did that on a regular basis and managed to accumulate a great deal of money. But if caught and court martialed, they would be shot. 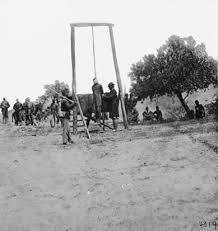 Hanging was a common punishment for desertion. Abraham Lincoln understood the essence of the tale, and referred to the hundreds of legal and military transcripts piled on his desk as his “leg cases.” It is said those documents make up the greatest percentage of Lincoln’s wartime correspondence. It is also said that in private conversation, he was not so sure that he might not be among those leg-case fellows himself. Few things pained him more, especially the hundreds of tearful and distraught parents and wives pleading for him to spare their boy. 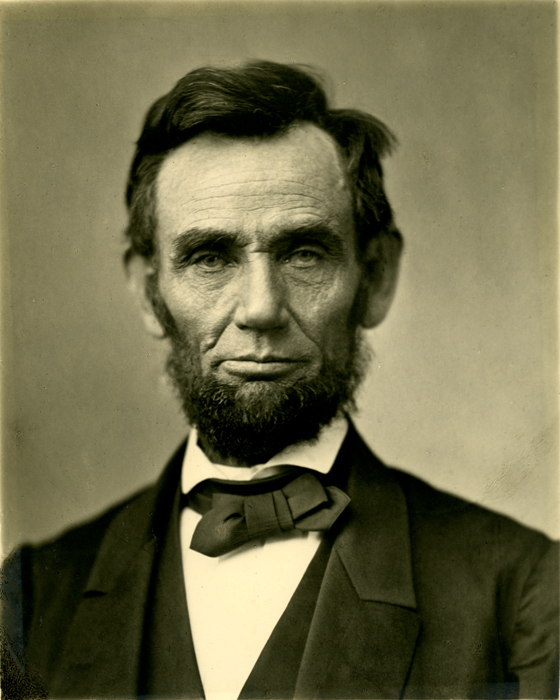 Early in the War, Lincoln learned that as Commander-in-Chief, he was responsible for the general welfare of the soldiers. As a man, he believed their grievances should be heard out. Lincoln-the-Lawyer also admitted that he tried to find whatever extenuating circumstance he could to pardon or reduce the sentence. Thus, most of the death-sentence punishments were required (by him) to come to his desk for final resolution. Military brass complained frequently that their discipline was being subverted by the President’s tenderness. Lincoln didn’t quite see how hanging a scared teenager who ran away at Antietam would benefit anyone. The Commander-in-Chief was tender-hearted when it came to punishment. Pardons, commutation of sentences, and other mercies made up a good deal of Lincoln’s paperwork. Benjamin Butler was an accomplished attorney, politician and political General, known for his harsh, no-nonsense treatment for miscreants. 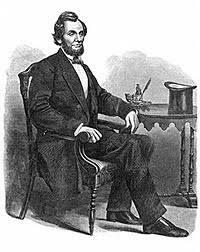 He finally sent Lincoln a telegram: “President Lincoln, I pray you not to interfere with the court martials of this Army. 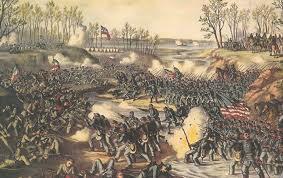 You will destroy all discipline among our soldiers.” B.F. Butler.